Visiting Rim Trail and Toroweap Point will get you outdoors. Get some historical perspective at Hermit's Rest and Tusayan Museum. 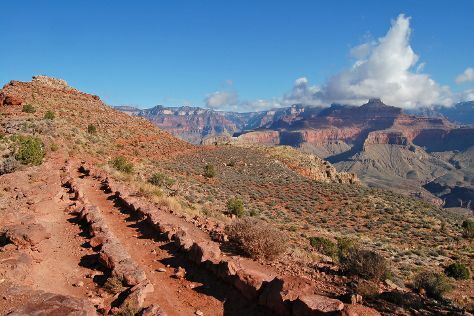 On the 30th (Sat), hike the day away at Bright Angel Trail. There's much more to do: explore the stunning scenery at Grand Canyon South Rim, trek along South Kaibab Trail, get great views at Mather Point, and don't miss a visit to Grand Canyon Railway Depot. To see maps, where to stay, reviews, and other tourist information, read our Grand Canyon National Park trip app . In March, daytime highs in Grand Canyon National Park are 57°F, while nighttime lows are 23°F. Wrap up your sightseeing on the 2nd (Tue) early enough to travel back home.